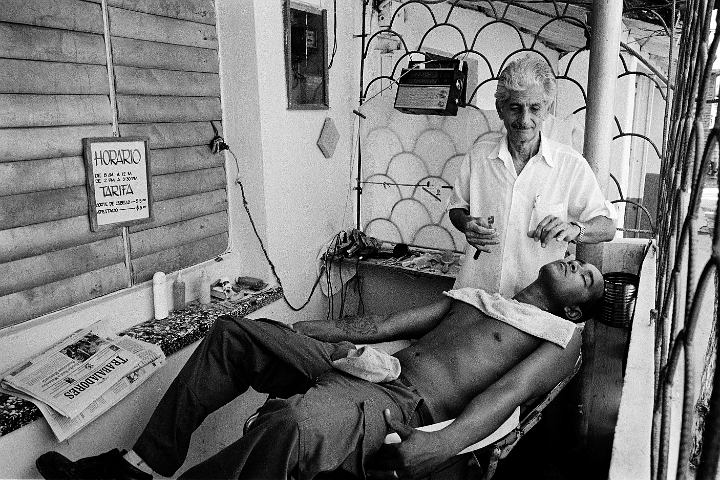 A shave and haircut costs the equivalent of 32 cents at this front porch barbershop in Sancti Spiritus. Private barbershops became legally permitted in 2011. Prior to that, all barbershops were state owned with barbers receiving a salary regardless of business volume.